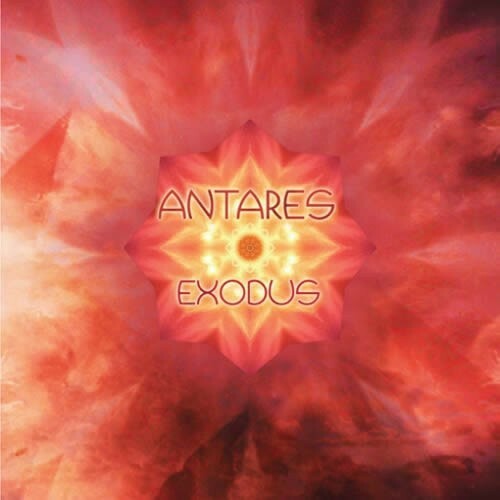 Antares, aka Simon Felix, is an 18 year old Belgian melodic goa trance talent! He showcased his talent before on some compilations and is now ready to blow you away with his magical storytelling debut-album called Exodus!His music can be best described as pure sensitive spiritual goa-trance with an acidic edge. His fairytale starts with Exodus, which is a slow and deep downtempo intro track. It is followed by the progressively building morning monster Mysticism. After that the energy rises and Aurum Solis is a great uplifting goa-trance track. In the 4th Dimension and Dreaming Universe we get loads of acid 303s on top of the goa-trance melodies which results in twisted dancefloor monsters... After that we go back into the floating style with Mount Meru and specially Astral Plane that are pure morning trance gems. The album ends in beauty with a soft downtempo track called Sun Sacntuary!Lovers of melodic goa-trance will feel pure joy while listening this album and we at Suntrip think this artists fits perfect in the row of our other spiritual goa trance producers such as Ra or Khetzal!Like usual this album is crystal-clear mastered by Tim Schuldt!